The Philippines dropped to 71st in trade logistics competence ranking worldwide, due to poor infrastructure and customs performance, a World Bank report revealed on June 28. The report titled “Connecting to Compete 2016: Trade Logistics in the Global Economy” showed the country slumped from its 57th standing in 2014 with its score of 2.86. It posted a higher rate of 3, two years ago. Germany ranked first among the 160 countries surveyed with a score of 4.23 while Syria got the lowest score with 1.6. Among lower middle income economies, Kenya, Egypt, and Pakistan have outpaced the Philippines, economies that thecountry outperformed two years ago. The countries are scored based on six components: customs, infrastructure, international shipments, logistics quality and competence, tracking and tracing, and timeliness. Out of all components, the Philippines ranked the lowest in infrastructure and customs performance, scoring 2.55 and 2.61 respectively. 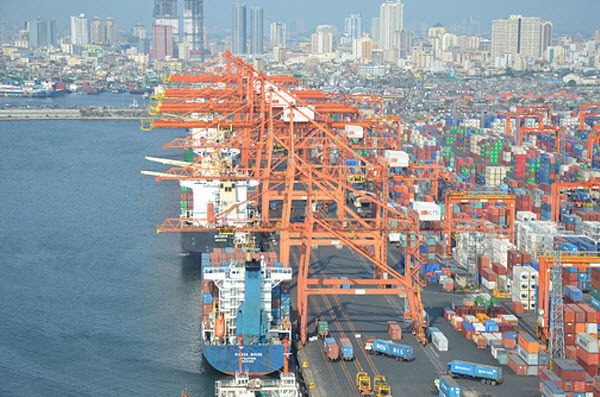 National Competitiveness Council (NCC) private sector co-chairman Guillermo M. Luz blamed the port congestion problem in Manila in the last two years for the country’s poor performance, Philippine Daily Inquirer reported. Around 93% of the country may have access to free WiFi by the end of the year, Science and Technology Undersecretary Louis Napoleon Casambre said on June 28. In a report by ABS-CBN News, Casambre said the problem is not with the infrastructure but the affordability of products. “There are around 30 to 50 Mbps available in the market but Filipinos can only afford an average speed of 2.5 Mbps,”Casambre said in the report. The service will have a data cap of 50 MB for each user daily, to manage the estimated 117,000 internet users who will access the free WiFi service. Currently, only select locations nationwide have free WiFi access which includes the province of Cavite, and key areas in Metro Manila such as Rizal Park in Manila, Quezon City Hall, and the Quezon City Memorial Circle, among others.